A very rare 6x6 Bedford ML, built by Marshalls of Cambridge after they bought the design and rights to use the Bedford name. 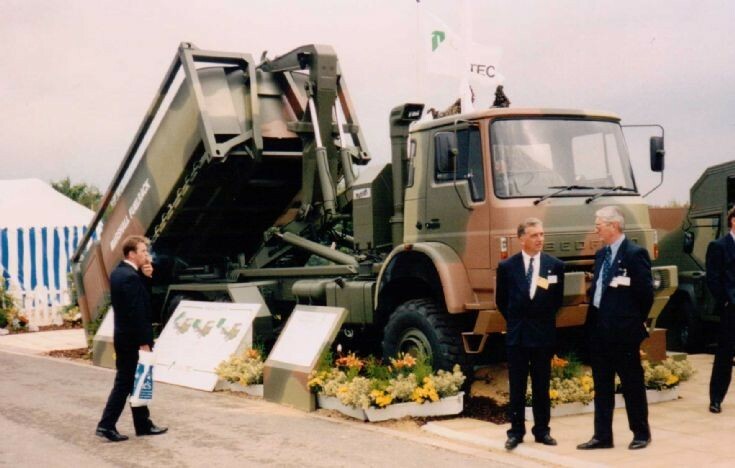 This 6x6 variant with a Multilift DROPS type body was seen on the Marshalls stand at the British Army and Royal Navy Equipment Exhibition, Aldershot, Hampshire, England in September 1995 and was built primarily for the export market. The containerised fuel rack with rear mounted pumping equipment was also built by Marshalls.